We use our hands, particularly our fingers every day. Whether it be using a spoon while eating breakfast, fastening the button of our jeans or turning the steering wheel of our cars when driving, it goes without question that life would be challenging without being able to use our fingers. 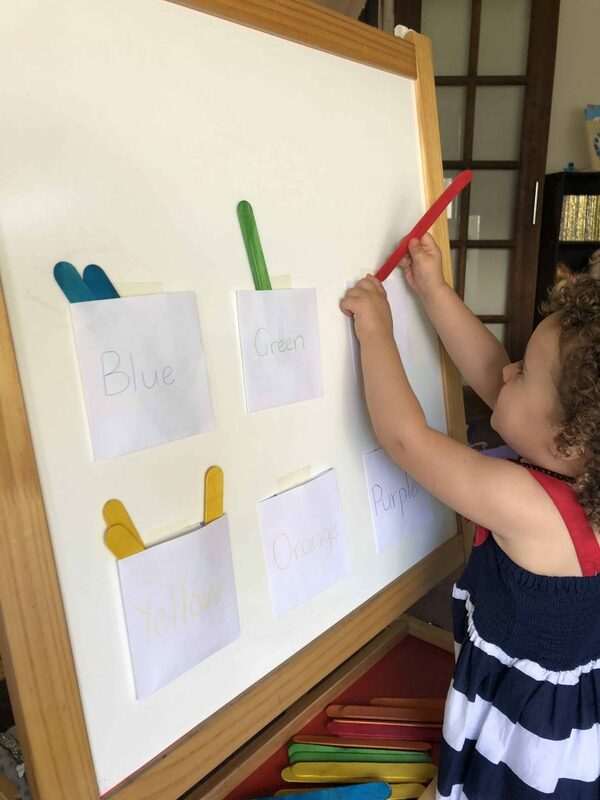 Strengthening the small muscles in our fingers to perform tasks as listed above begins in early childhood. 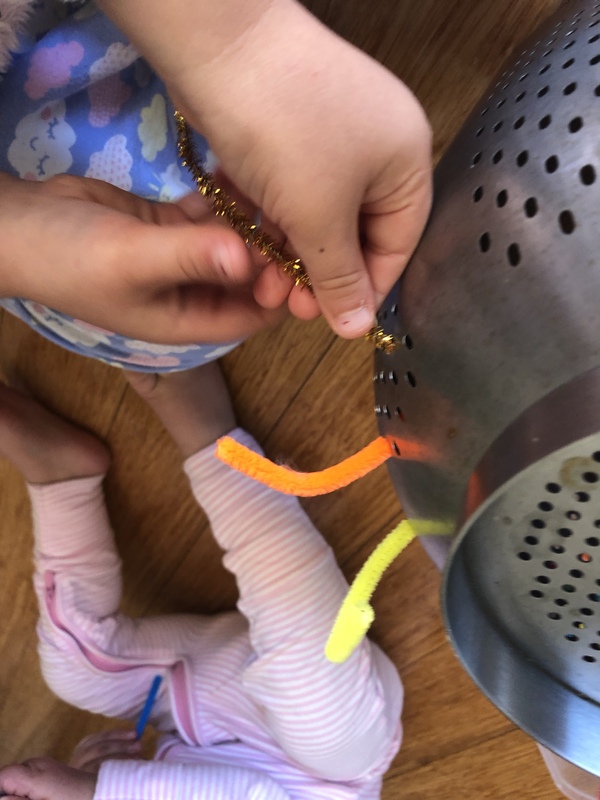 Through out these early years we build up strength and coordination and as a parent the best way to do this for our children is by offering fine motor play opportunities. They often don’t need to be extravagant or fancy. Remembering the old, give a child a cardboard box and they will play for hours situation? 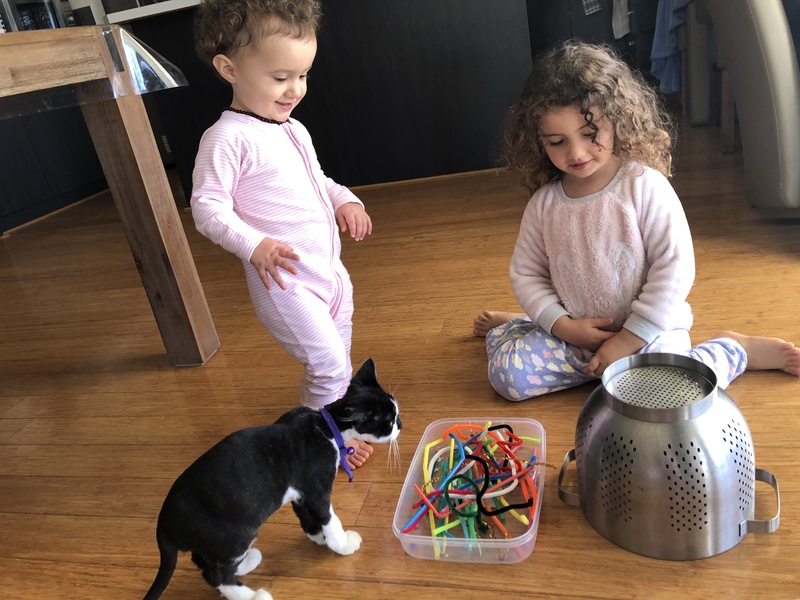 At times the simplest of tasks can also be the ones that capture a child’s attention and keep it. This was most certainly the case at our place! 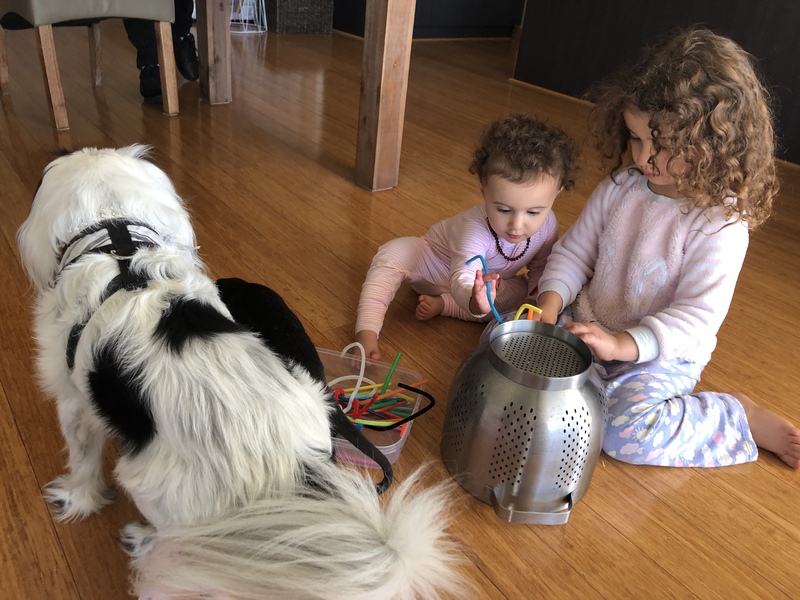 I set up this activity for Miss 15 months however it didn’t take long for me to realise I had underestimated how engaging it would be for Miss 4. 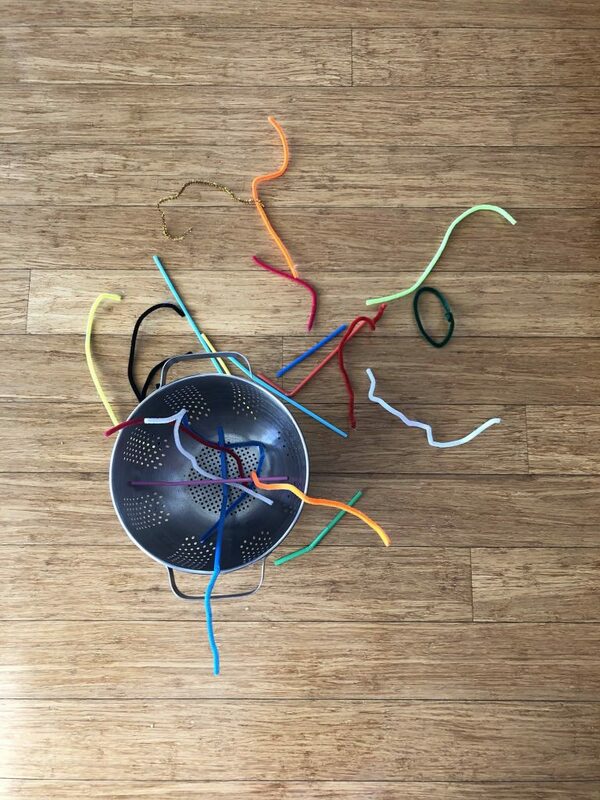 Miss 15 months interest laid in exploring the pipe cleaners and the odd bendy straw that was in the tub. She was bending, twisting, turning, mouthing and shaking the brightly coloured materials to learn about them. We spoke about textures, sounds and then words to describe what she was doing. Miss 4 jumped right into completing the task as I had described it to her. 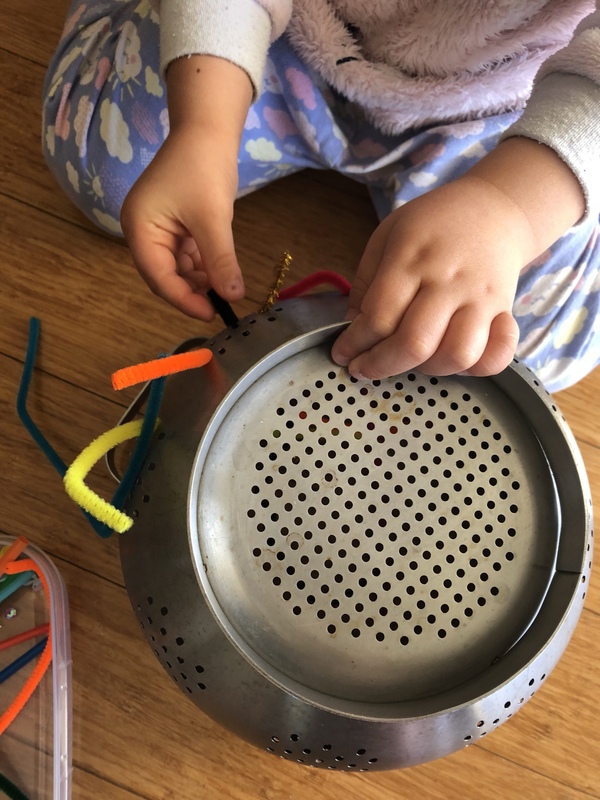 Her fingers were quickly manipulating the pipe cleaners into the holes around the colander. 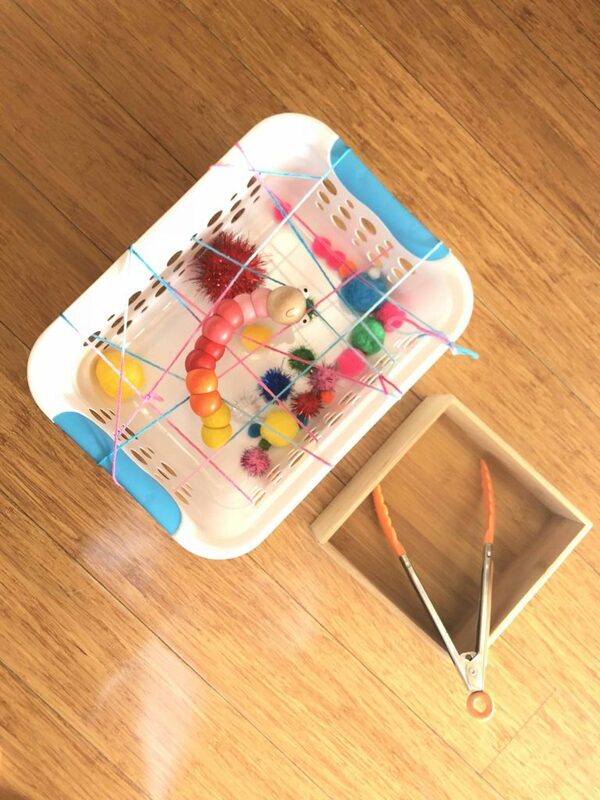 While she was engrossed in her project, I asked her questions to inspire her to try different ways of threading the pipe cleaners through the holes. 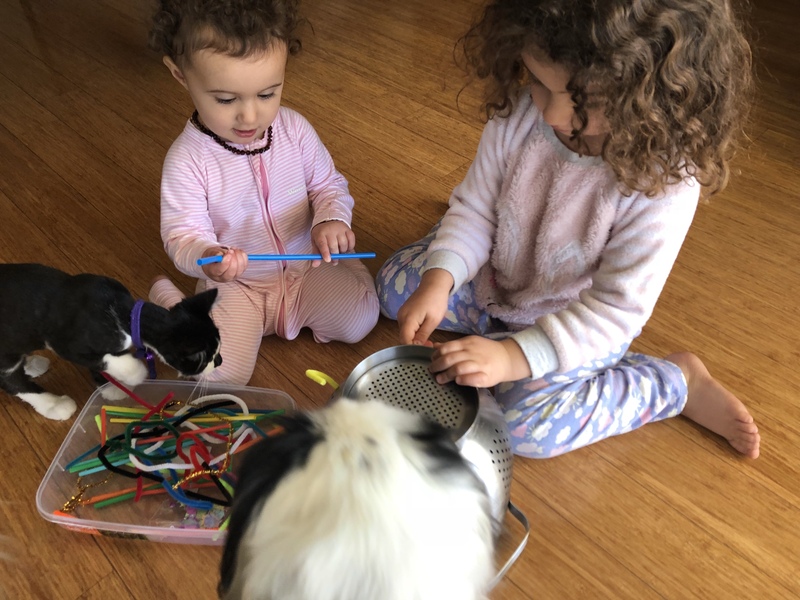 When Miss 15 months decided she would like to have a go at poking her straw into a hole, Miss 4 wasn’t very happy about her project being potentially compromised. 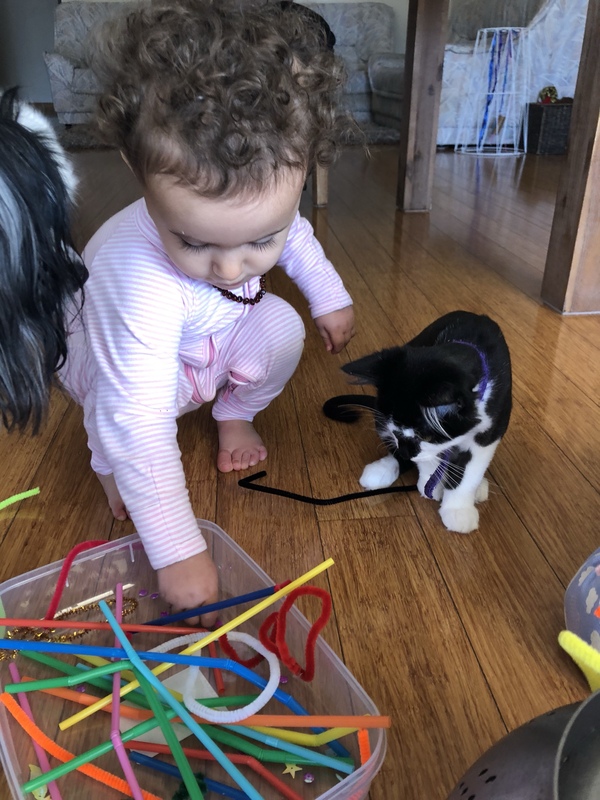 With some guidance she decided to compromise (considering the activity was in fact set up for her sister and it’s important that we teach Miss 15 months how to take turns). 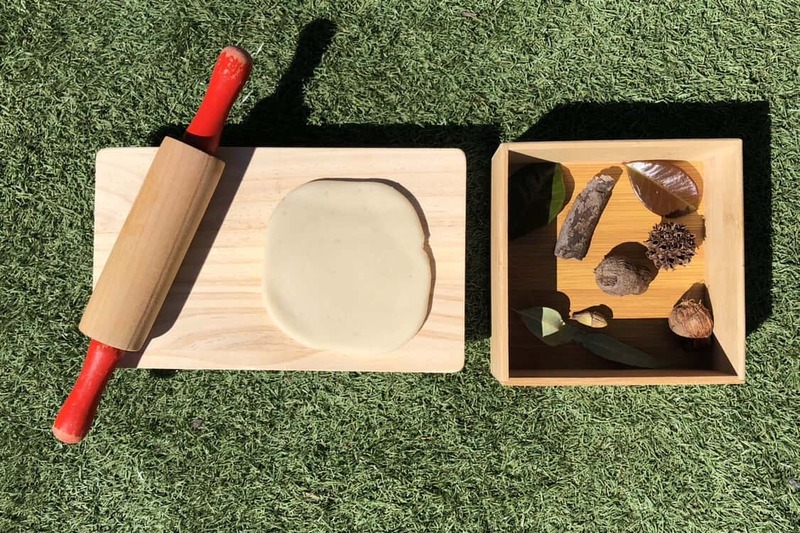 Such a seemingly simple activity turned out to be full of little life lessons which in time will develop into a great foundation to build upon. That’s not to mention the initial intention of building up those fine motor skills. This activity served as a great reminder that it’s the simple things in life that can be the most rewarding.